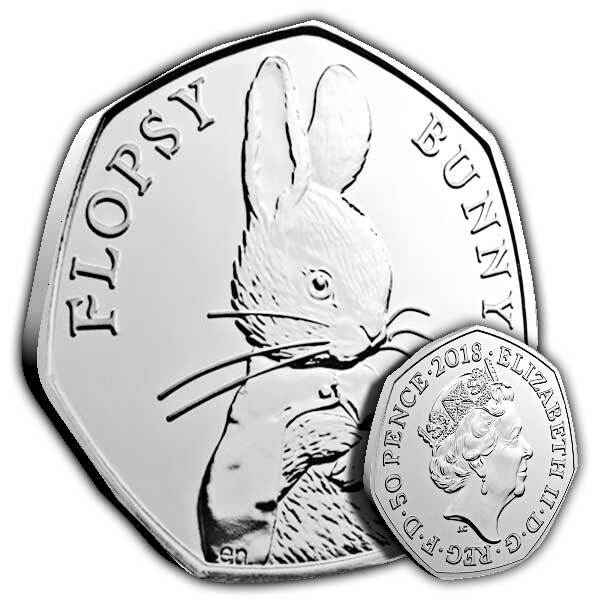 This is the very first time Peter Rabbit's sibling Flopsy Bunny has actually been included on an approved UK coin. The stylish design has Flopsy Bunny front and centre, with her distinctive little cape highlighted by the coin's Brilliant Uncirculated detail. 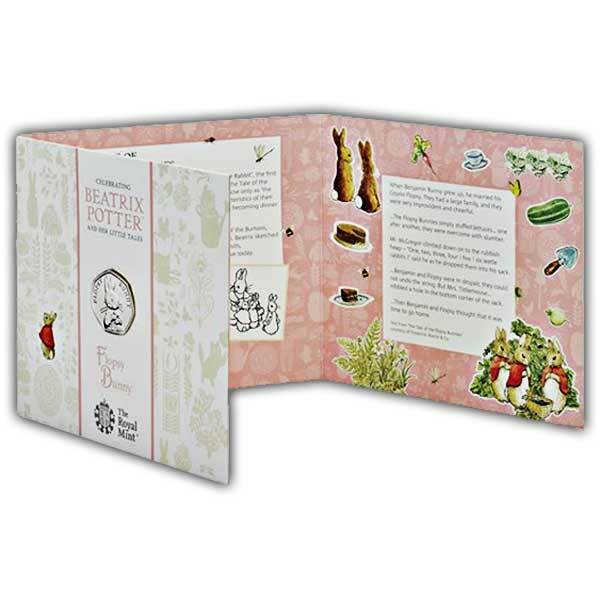 The coin is displayed in a beautiful fold-out packaging influenced by Beatrix's own illustrations, with wonderful information about Flopsy Bunny and her household of naughty bunnies. Beatrix Potter produced a terrific world populated by a range of lovely animals, with much of her stories including intrepid little bunnies. The cotton-tailed heroes continue to thrill readers worldwide, more than a century after they were produced. We started commemorating the life and work of Beatrix Potter in 2016 and Flopsy Bunny is the current character to be struck on a UK 50p coin. Great coin + great service from Island Stamps & Coins (as always) = one happy customer. Will continue to use. Perfect for my Daughter in law...Collects everything from Peter Rabbit..